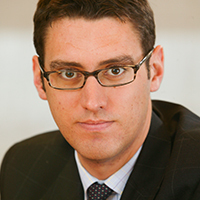 After graduating from Durham University with a first class honours in economics, Vaughan Lewis became an assistant portfolio manager with Isis Asset Management in 2001. After three years with the firm, he moved to Morgan Stanley where he has worked as an analyst in the European leisure research team for 10 years and today holds an executive director position. Lewis writes comprehensive research about most of the listed gambling operators in Europe, including 888, Betfair, bwin.party, GTECH, Ladbrokes, Paddy Power, Playtech, Unibet and William Hill. He produced a well-known study of the social gambling market, titled Social Gambling: Click Here To Play. Morgan Stanley leisure team has consistently been voted top in European polls of analysts, and Lewis was individually voted fifth in the 2013 Extel Europe survey.